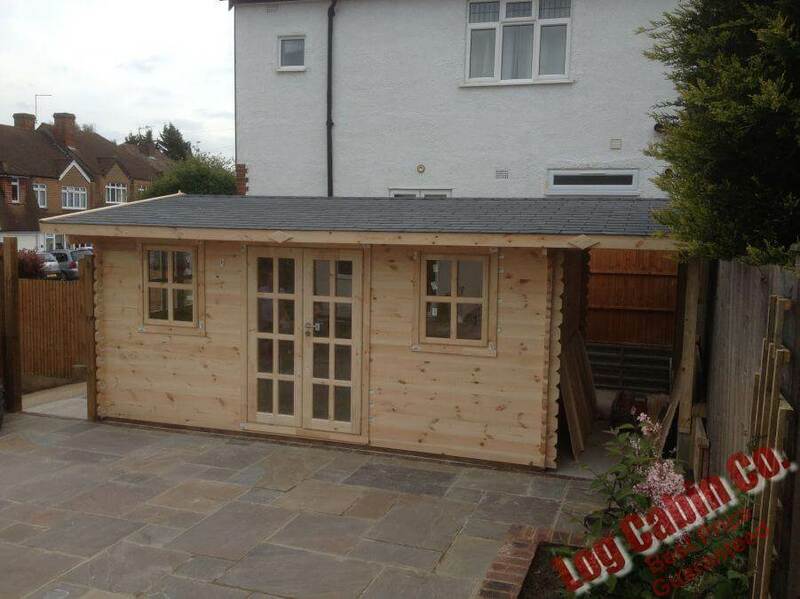 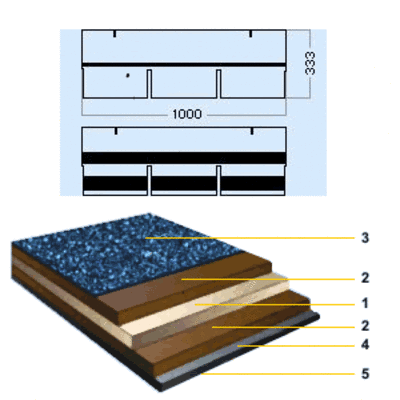 Q - Could you please tell me if I dont buy the additional shingle roof what type of roof does the log cabin come with as standard. 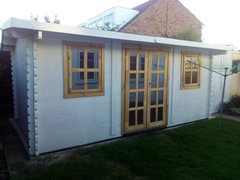 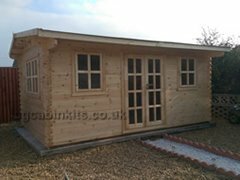 Q - Hi, is it possible to swap the end walls to put the window at the other end of the Camborne cabin? 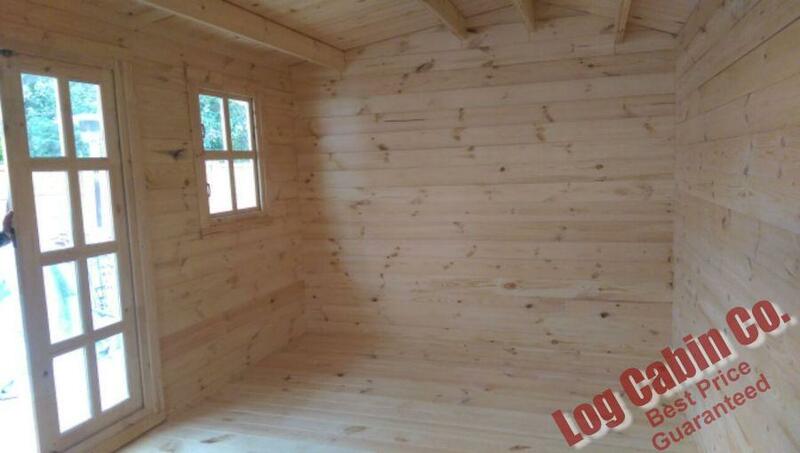 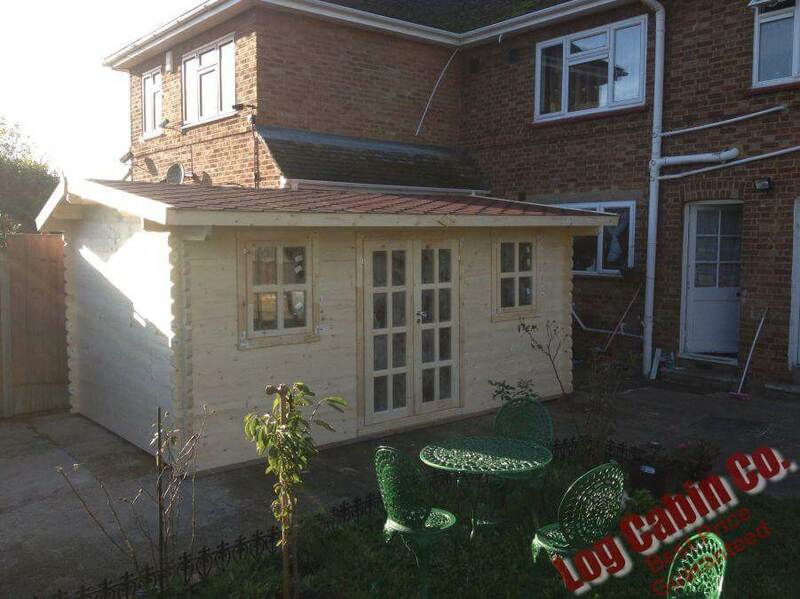 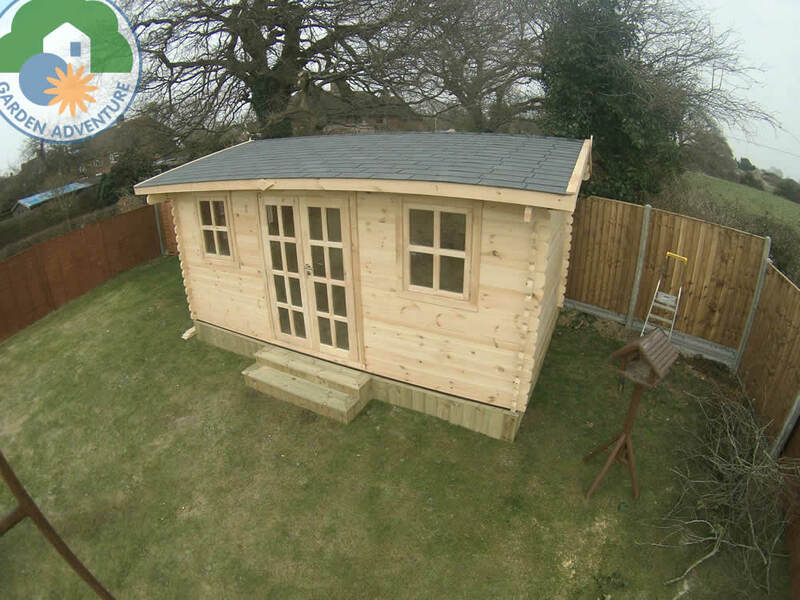 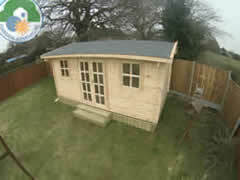 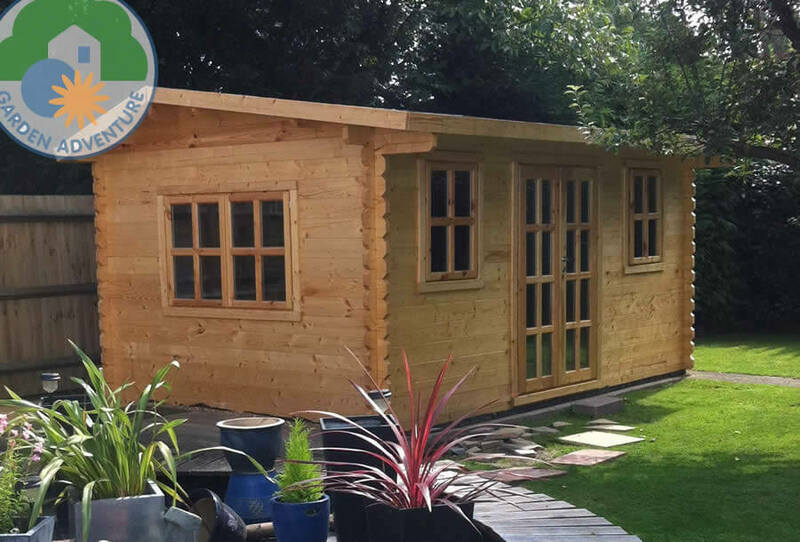 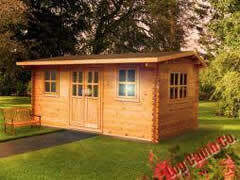 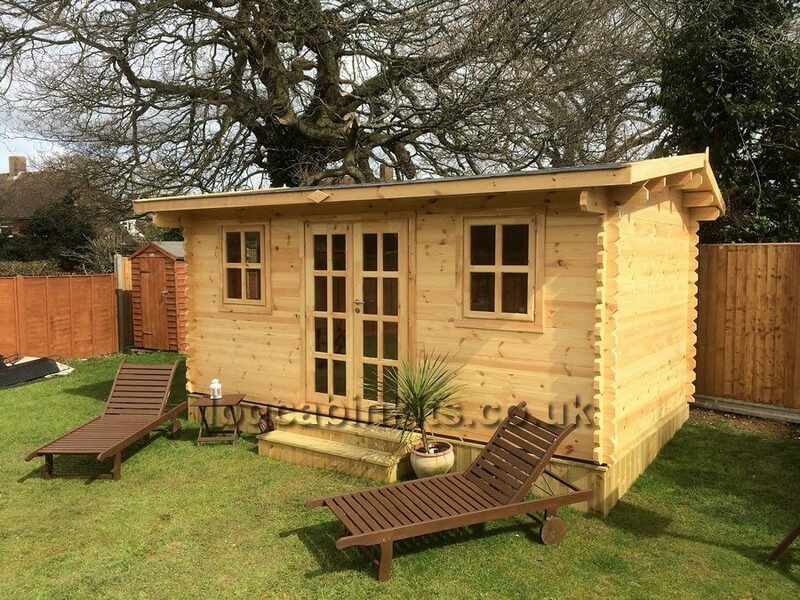 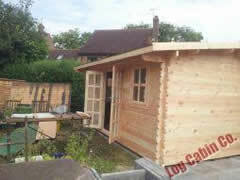 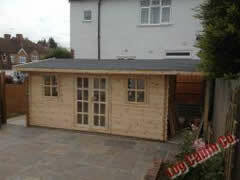 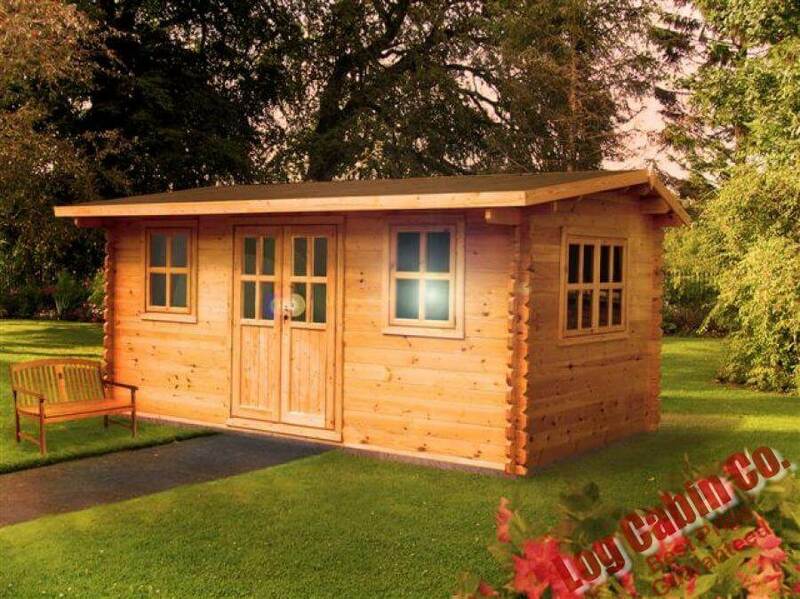 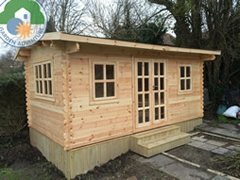 Q - what size concrete base is needed for the 5x3 Camborne log cabin please? 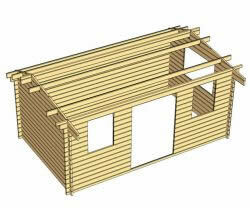 Q - Hello,I have ordered this cabin (RC12373756) and would like to know the optimum base size required. 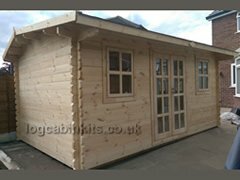 I have had a look at the assembly instructions but would like clarification prior to the cabin arriving (in a few weeks? 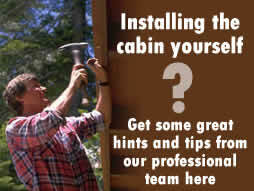 )Thank you in anticipation. 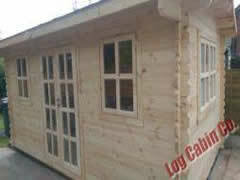 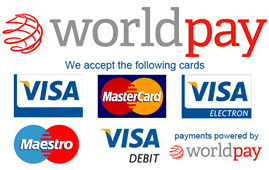 Q - Hi how much is delivery to LS16 7AT and also delivery time please. thanks. 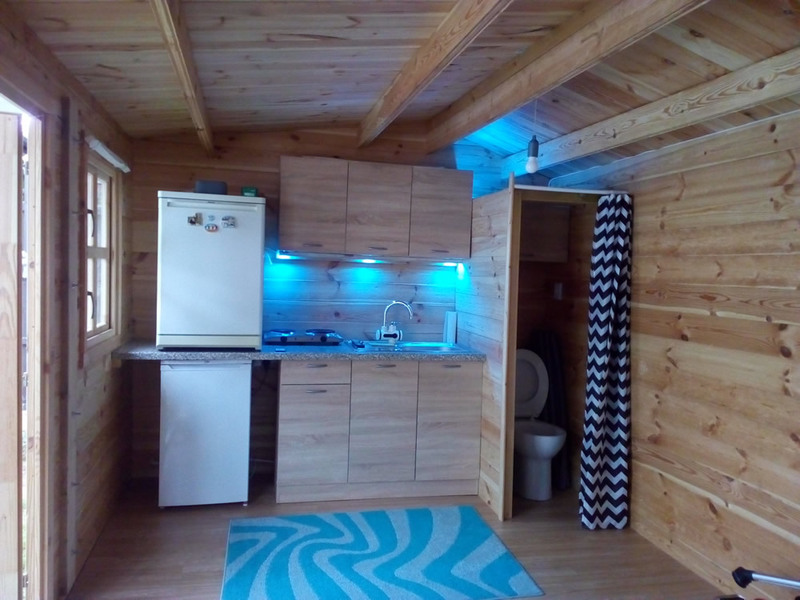 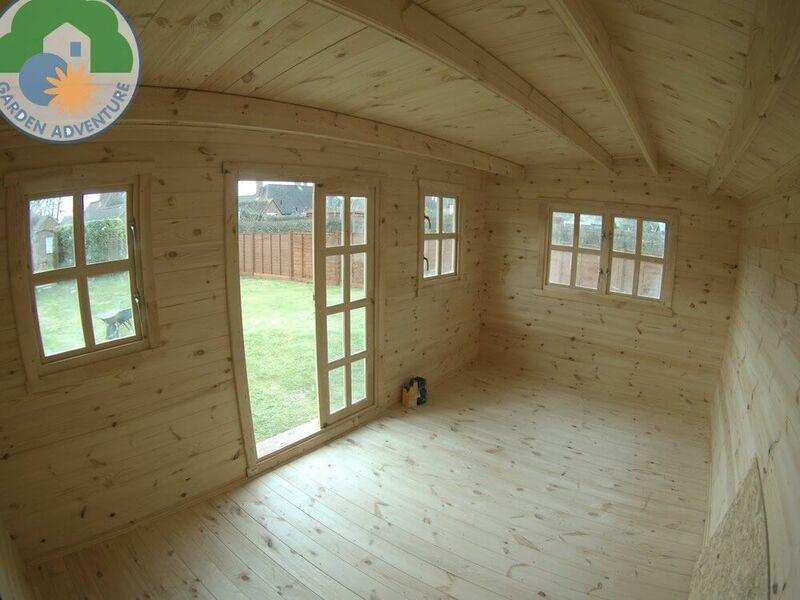 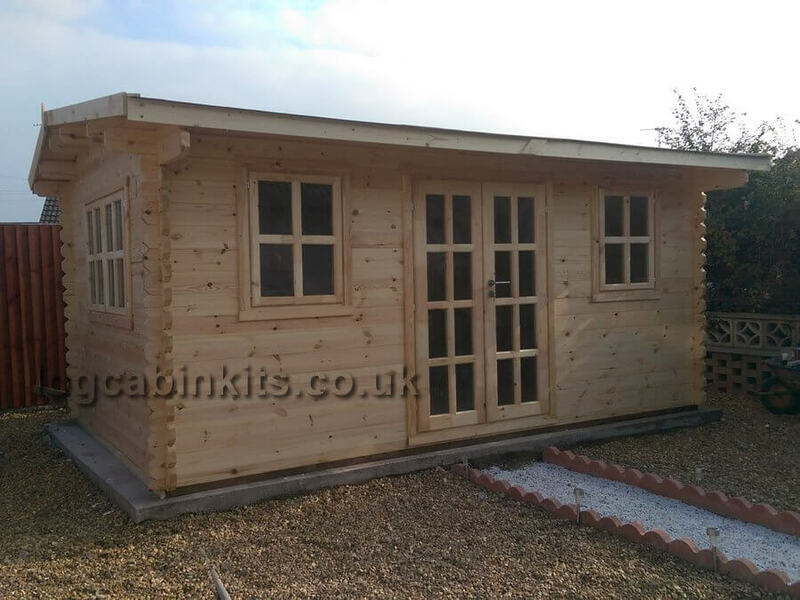 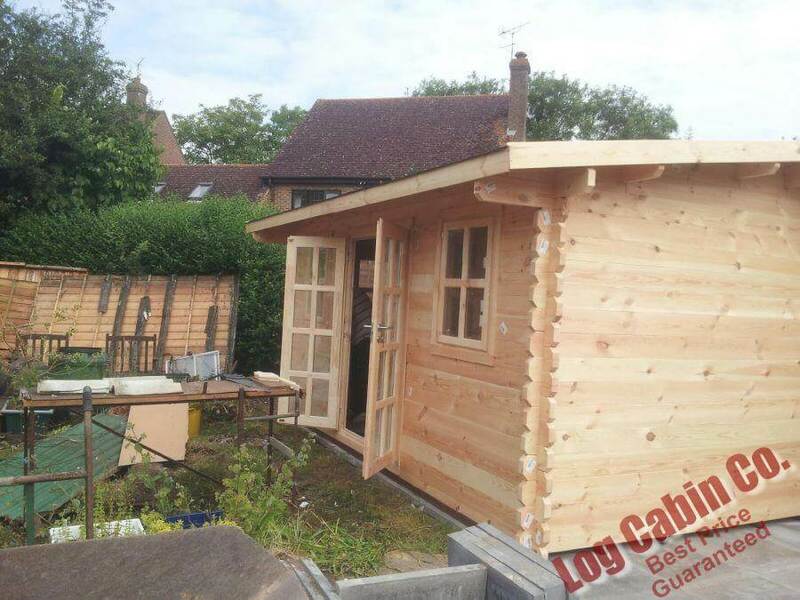 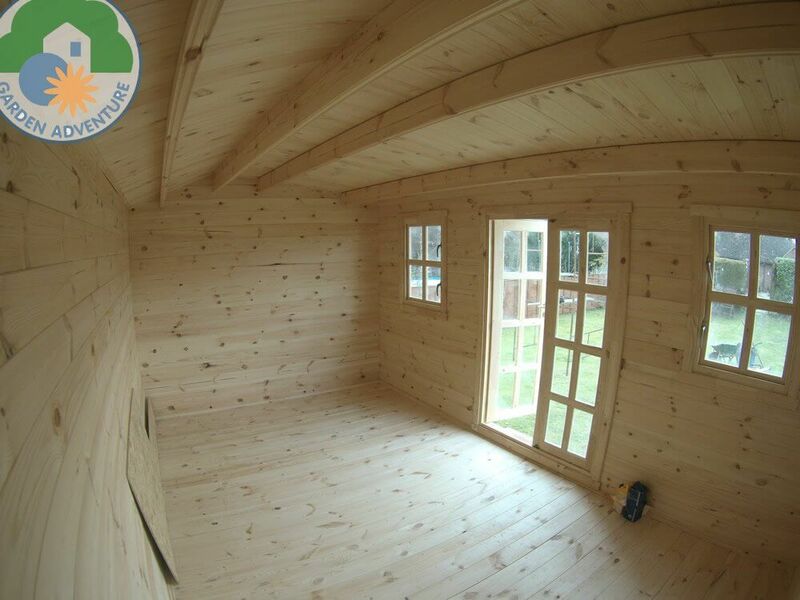 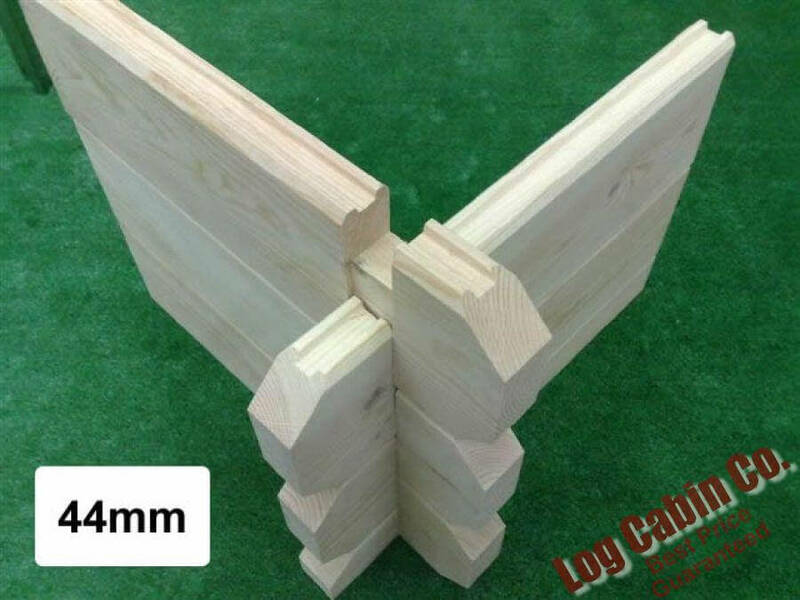 Q - I am interested in this cabin and would like to know the approximate time from placing an order to delivery.I would also like to know the rough cost from your sub-contractors to assemble it please.Thanks. 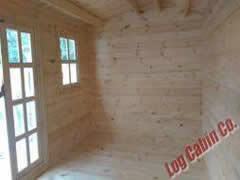 Q - How high is the bottom edge of the window from the floor please? Q - Can you please let me know if any of the windows open, or are they fixed. 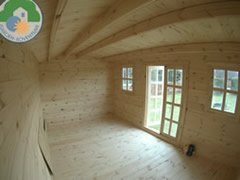 If fixed, is there an option for opening windows?Also, can the large 'end' window be positioned in the opposite end wall (LHS from front)?Thank you.